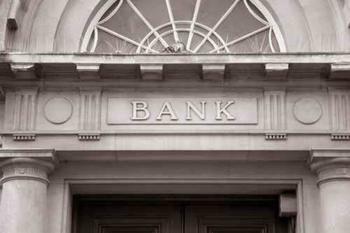 Some of the major banks have proposed changes to Dodd-Frank financial reform rules governing the way consumers access their financial information. Personal Capital, a firm providing financial asset tracking tools, charges the bank-supported changes would restrict customer access to their data and weaken banking cybersecurity. It made its comments to the Consumer Financial Protection Bureau (CFPB), noting that Section 1033 of Dodd-Frank requires banks and brokers to provide customer access to financial information. In a press release, Personal Capital claims J.P. Morgan, Wells Fargo and major banks have offered up changes to that section that it says would make it harder for customers to access their data. Bank officials have stated that customers are allowing third party companies -- such as Personal Capital -- to have access to their accounts. In an annual letter to shareholders, J.P. Morgan CEO Jamie Dimon said it is an area of concern, and that the bank is currently working with third parties on more secure ways to share data. Bill Harris, CEO of Personal Capital, worries that the changes the banks are proposing would reduce customer access to their information and weaken security. "The existing ecosystem of data aggregation operates at huge scale with high security connecting 14,000 financial institutions with tens of millions of consumers," Harris said. "It isn't broken. Let's be careful not to break it." Harris says the banks want to change cybersecurity protocol in a way that puts banks in the position of deciding who gets access to what information. He argues that it should remain with the customer to decide. "Malware and phishing are constant security hazards for consumers. The most vulnerable moment for a hacker to steal your password is when you type it into your own browser," said Fritz Robbins, Chief Technology Officer at Personal Capital. Robbins says using data aggregation services reduces the need to enter log-in information, arguing that it enhances security. Personal Capital has posted its entire comments to the CFPB here.